NASHVILLE, TN (January 18, 2019) – Get the sensational collection WOW Gospel 2019, available everywhere now. 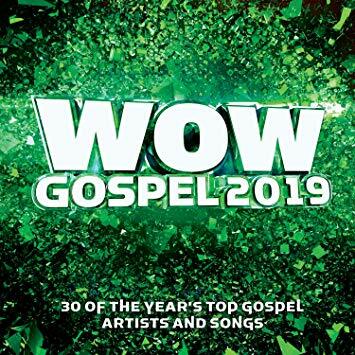 The latest hit installment from the longtime award-winning WOW Gospel series, the two-disc WOW Gospel 2019 album delivers a total of thirty tracks with today’s biggest songs and treasured artists. For over twenty years, the renowned compilation series has charted a course in discovering new voices mixed with fan favorites on each multi-track album, and been a top hit on the Billboard’s GospelAlbums chart. WOW Gospel is a joint venture from RCA Inspiration, Word Entertainment, and Motown Gospel, and features pioneering legends, new inspirational voices, and superstar pairings. Bursting with musical highlights showcasing praise and worship anthems, ballads, choirs, and contemporary inspiration, the WOWGospel 2019 edition includes GRAMMY® Award winners and nominees, with songs from Fred Hammond, Tamela Mann feat. Timbaland, Donald Lawrence & The Tri-City Singers, Israel Houghton, Tasha Cobbs Leonard, JJ Hairston & Youthful Praise, Jonathan McReynolds, Lecrae feat. Tori Kelly, Travis Greene, Charles Jenkins and Fellowship Chicago feat. Le’Andria Johnson, Koryn Hawthorne, Jekalyn Carr, and much more. The WOW Gospel series has garnered multiple platinum and gold certifications, and seven Stellar Awards over its twenty-year history, and just received a 2019 Stellar Award nomination for the WOWGospel 2018 collection. WOW GOSPEL 2019 is available now.